Mogwai was of those bands that defined a change in how I listened to music. I remember it was very early 2000s, possible 1999. I can’t remember. But what I do remember.. the album. It was Come On Die Young. It was intense. I’ve never heard anything like it before. That album/band transported me and it spawned a generation of post-rock bands like Explosions in the Sky, etc. When I listened to that album, I realized you can tell the story with music alone. In fact, that story can be more emotional than ever thought it could be. It changed the way I listened to music. It changed the way I viewed guitar. It changed the way I wrote songs. 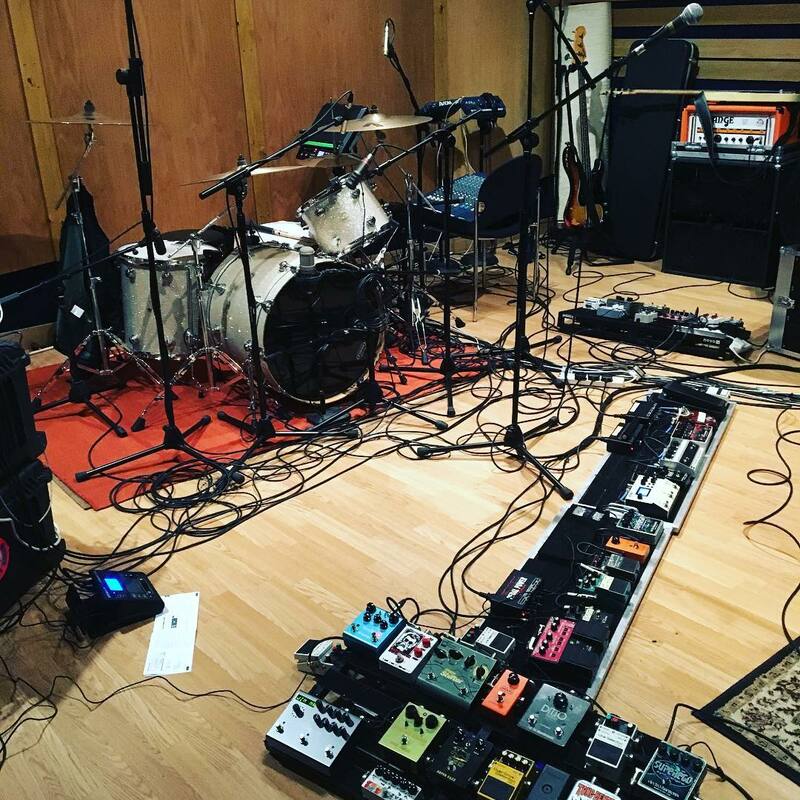 This morning, I was extremely excited to see a post of some of their gear at rehearsal on their Instagram. It’s been a while since I posted any gear posts on the band. Looks like a lot of pedals have changed. I see Stuart is still riding the Danelectro though! So, based on this photo, I’m doing a lot of assumptions, including who these boards are for, but I think I’m pretty close. As you can see, I have some pedals that I couldn’t identify. If you can help, please comment below! The pedal between the Strymon BlueSky and the Seymour Duncan Shape Shifter is an Idiotbox Effects Mad Doctor Stutter. They’re a ton of fun. I misunderstood the article’s intent when I read the title, “Mogwai Pedalboards” – thinking that Mogwai was a brand of pedalboards.